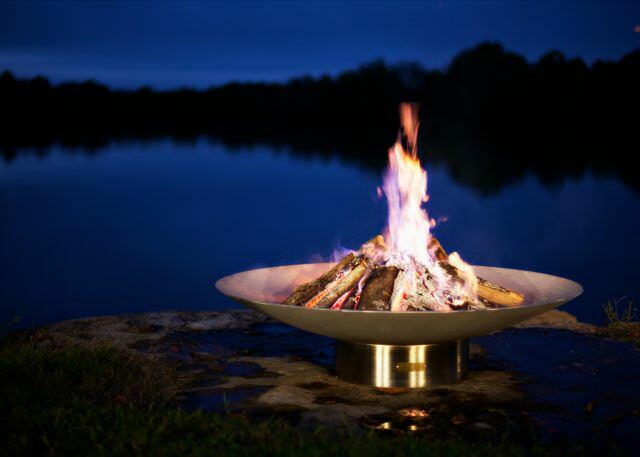 Bella Vita celebrates your passion for the good life. 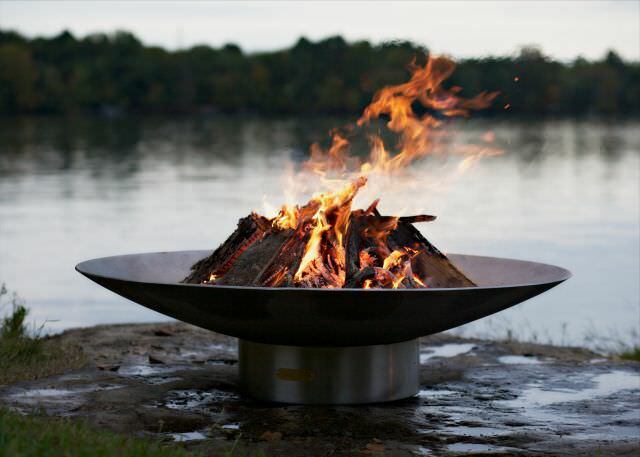 Gathering family and friends around Bella Vitas abundant fire will rekindle your inner spirit as you watch the dancing flames. 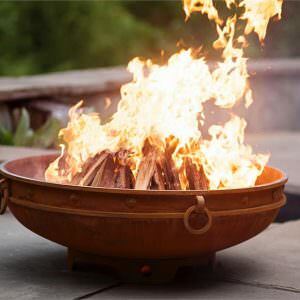 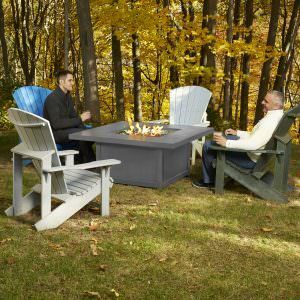 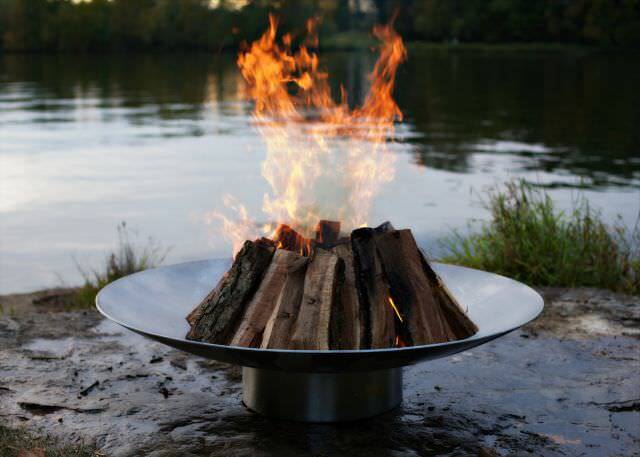 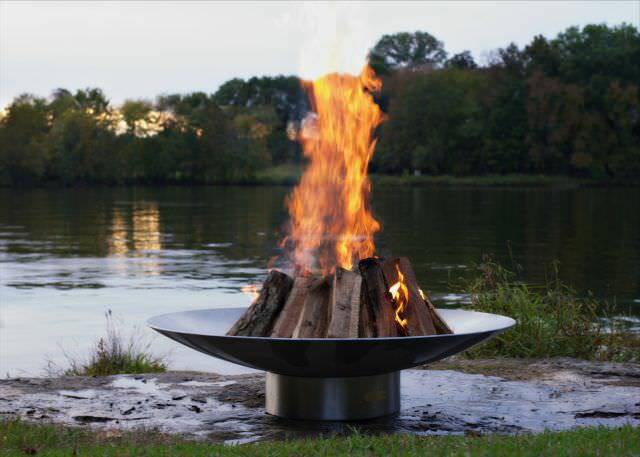 This regal stainless steel fire pit is forty six inches in diameter, stands fourteen inches tall and can easily hold enough wood for an extended evening of relaxation. 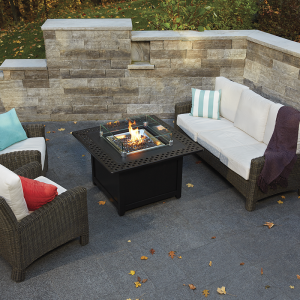 The low profile design will add an elegant touch to your outdoor experience. 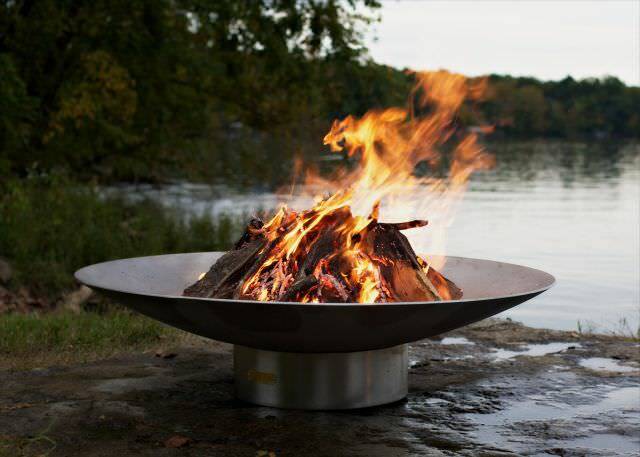 Each functional steel sculpture is made from one hundred seventy pounds of very thick (¼” inch) American made 304 stainless steel used for longevity and also for its corrosion and rust resistance. 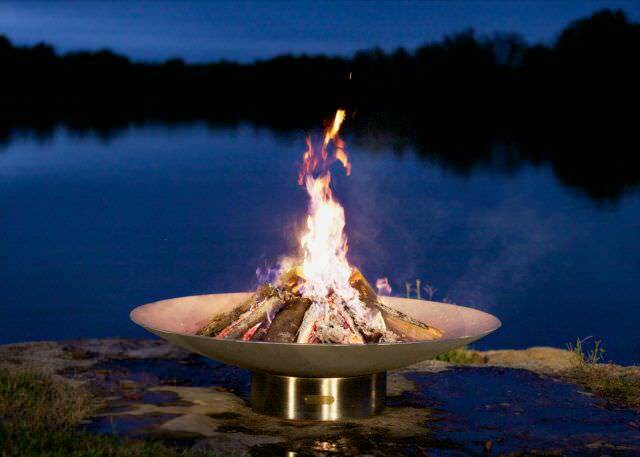 Truly maintenance free your Bella Vita can be left outdoors year around in any conditions and comes supplied with a rain drain in the bottom of the basin. 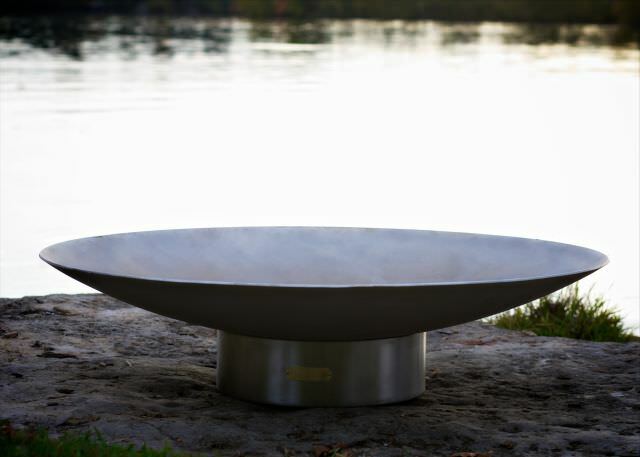 The matte bowl finish is complimented by the brightly polished base and every Bella Vita Fire Pit Art® is individually numbered by the artist, Rick Wittrig. 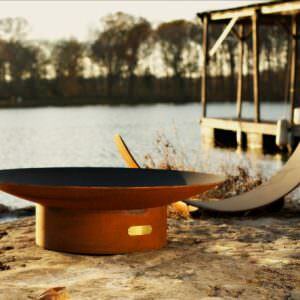 Virtually indestructible each fire pit comes with a 100 Year Guarantee on materials and craftsmanship.